Why is AML so important? Majority of emergency calls today are made from cellphones, which has made location pinging increasingly more important for emergency services. There are many emergency apps and features in development, but AML’s strength is that it doesn’t require anything from the user — no downloads and no forethought: The process is completely automated. With AML, smartphones running supporting operating systems will recognize when emergency calls are being made and turn on GNSS (global navigation satellite system) and Wi-Fi. The phone then automatically sends an SMS to emergency services, detailing the location of the caller. AML is up to 4,000 times more accurate than the current systems — pinpointing phones down from an entire city to a room in an apartment. “In the past months, EENA has been travelling around Europe to raise awareness of AML in as many countries as possible. All these meetings brought up a recurring question that EENA had to reply to: ‘So, what about Apple?’” reads EENA’s statement. TNW’s sources at EENA confirm that the organization first reached out to the two tech giants about two years ago. Google was quick to partner up with EENA and enabled the features needed for AML over a year ago. After Google’s quick response and implementation, EENA has increased efforts in the last few months to get Apple onboard, but those have led nowhere. TNW reached out directly to Apple to ask whether there were any plans for enabling AML for iOS and how the communication with EENA was going. Upon publishing, there had been no response from Apple. We’ll update this post if they get back to us. “To put it simply, with Android and iOS representing around 70.8 percent and 26 percent of the mobile market share in Europe respectively, AML being integrated in both translates to a percentage of 96.8 percent benefiting from it,” said Petros Kremonas, Communication Officer at EENA, in a conversation with TNW. 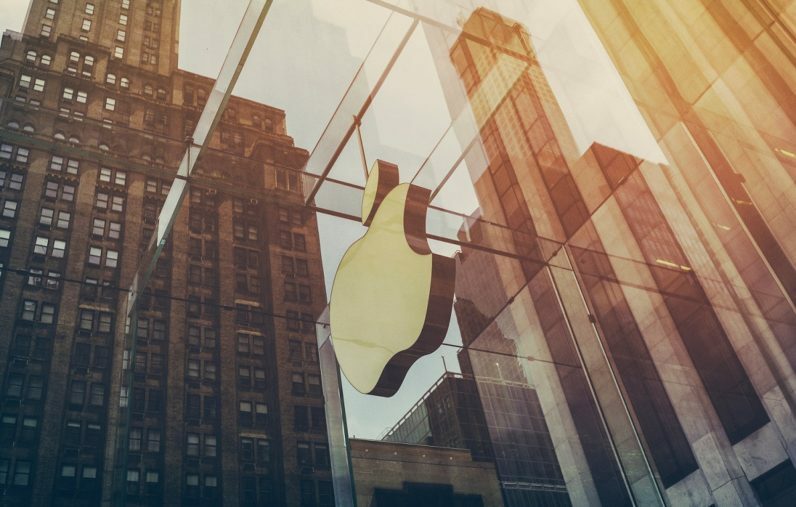 Countries that have already implemented AML — like Estonia, Sweden, and Belgium — are happy with the results, but stress the importance of Apple to enable AML as well. Lithuania is also one of the countries that has had great experiences with implementing AML. Last January an eight-year old Lithuanian boy saved his father after finding him unconscious. The boy didn’t know his home address but thanks to AML, emergency responders could locate the call with a radius of six meters (instead of 14 km). Tadas Maroscikas, Deputy Director of the Lithuanian Emergency Response Center, says that if iOS would support AML, it would give more people access to better emergency services. For Maroscikas it’s not just about the numbers, it’s about not leaving anybody behind when it comes to improving emergency services. In bigger countries where emergency services have implemented AML, the number of people being left out of AML can become quite staggering. It’s been estimated that if implemented everywhere in the EU, AML could save over 7,500 lives over the next 10 years. However, that’s contingent on OS makers providing the same level of cooperation as Google did. Google has shown that AML can be implemented on large scale and that the built-in features can actually contribute to saving lives. Despite EENA asking Apple numerous times to cooperate, and how easy it would be to enable the necessary features, the company still remains silent on the issue.